Custom License Plate. 6″ x 12″ aluminum with premium digital vinyl printed & with clear UV protectant laminate. License Plates can be customized with text. 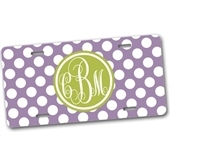 We can make your logo on a license plate. Call or email us for more details. $25 Each. Includes free shipping.